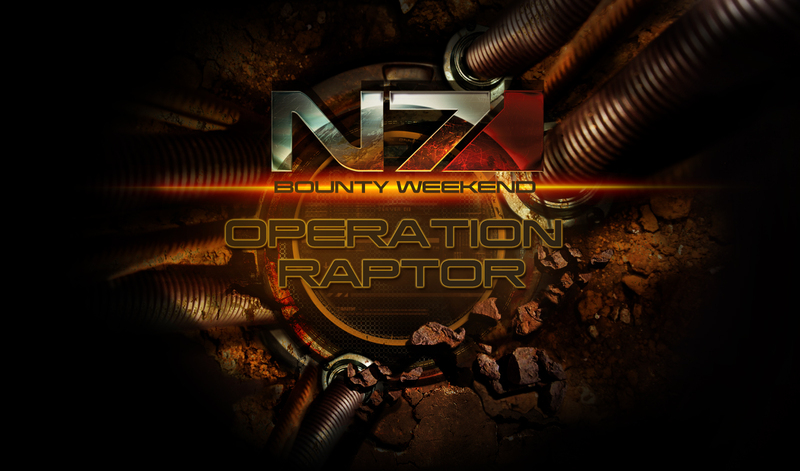 Welcome to the next N7 Multiplayer Weekend! Last weekend our community operatives united to train a record number of new recruits. The time has come to turn these new recruits into battle-hardened veterans. Read on for all the details! *Some restrictions may still apply, Operation Raptor is not open in all regions. Due to restrictions on the PlayStation 3 platform, we are unable to offer Operation Raptor to our PlayStation 3 users. We apologize for this inconvenience and we will continue to work with Sony to extend our weekend Operations to the community. Thank you.